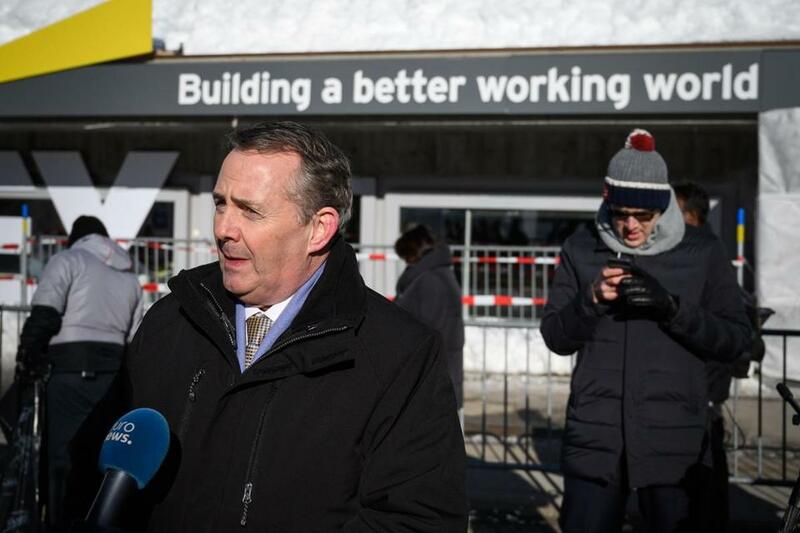 Britain’s International Trade Secretary Liam Fox admitted that no deal on Brexit is a possibility. LONDON — A senior British Cabinet minister said Wednesday that businesses need to prepare for the possibility Britain will leave the European Union in March without an exit deal, as a growing number of firms braced for disruption by stockpiling goods or shifting operations overseas. ‘‘We know that the law in the United Kingdom says that on the 29th of March the European treaties will cease to apply to a UK, so the only way we can stop that happening is to come to an agreement,’’ Fox told the BBC from the World Economic Forum in Davos, Switzerland. Most UK business groups fear a ‘‘no-deal’’ Brexit will cause economic chaos by ripping up the trade rule book and imposing tariffs, customs checks, and other barriers between the UK and the EU, its biggest trading partner. Ferry operator P&O said it would reregister its UK fleet under the flag of Cyprus so it could continue to use EU tax arrangements after Brexit.